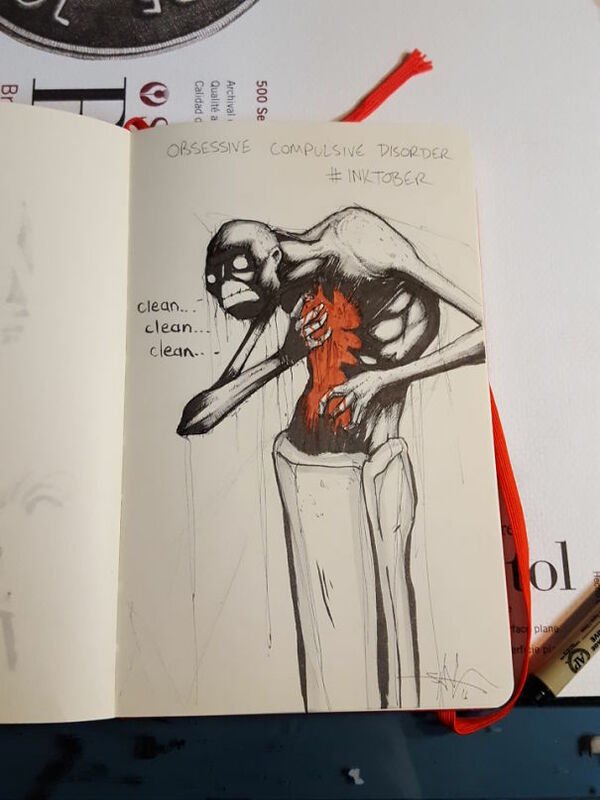 Every year thousands of artists take part in Inktober, where every day in October you draw something. 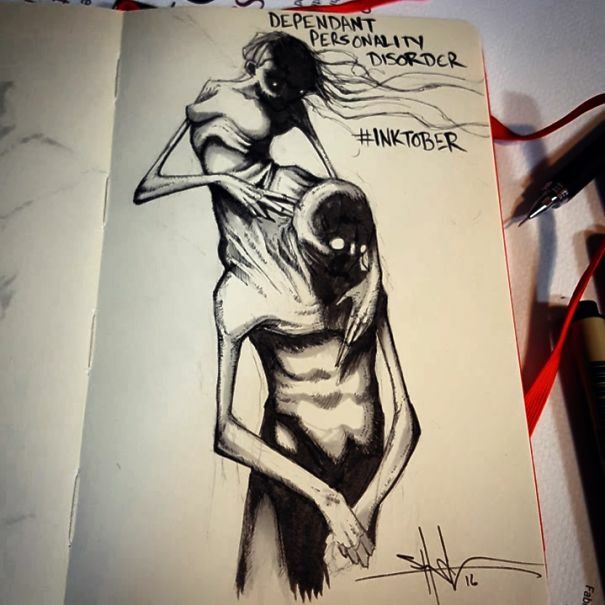 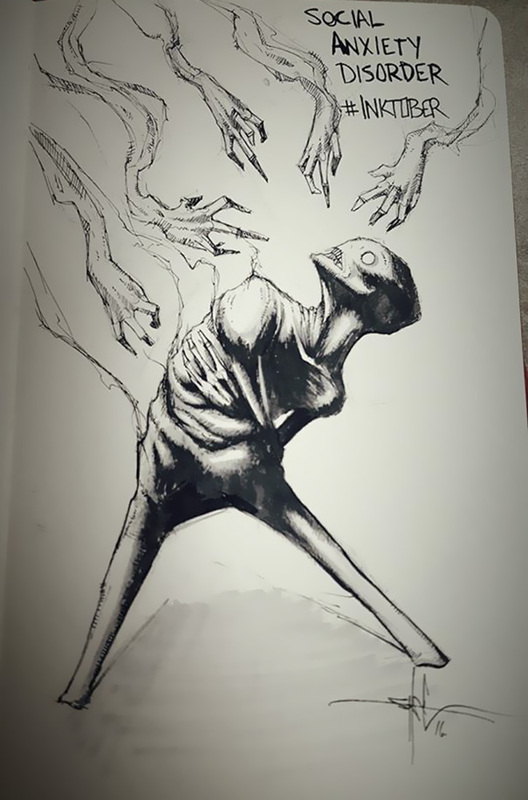 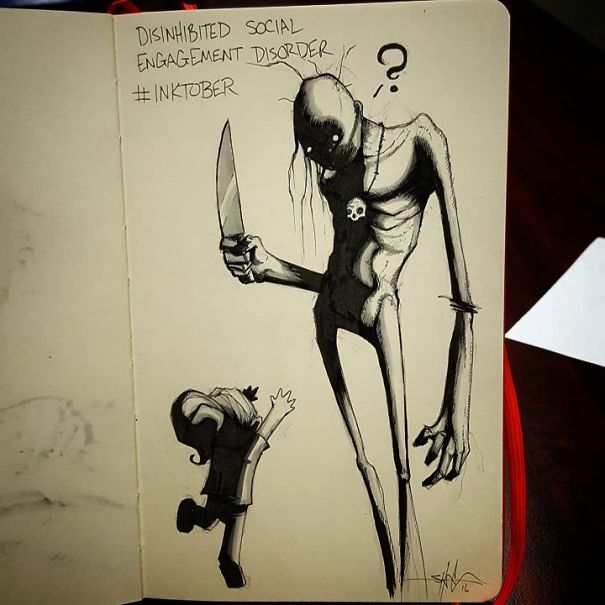 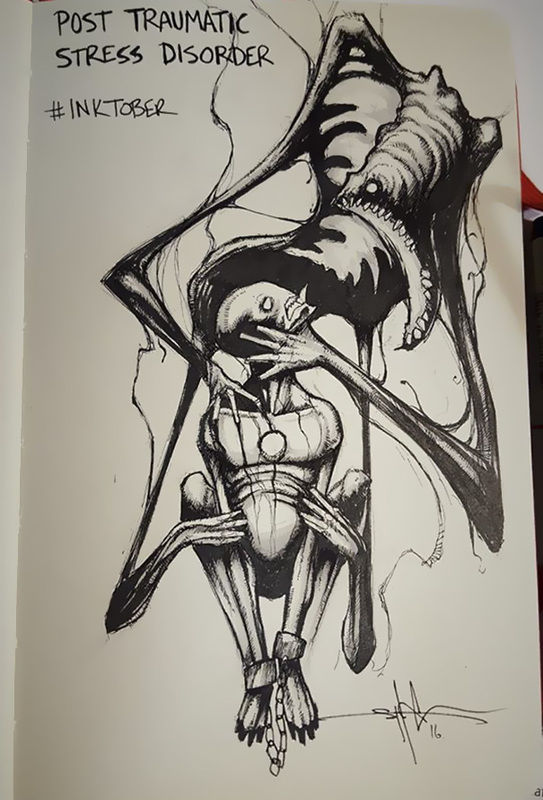 Artist, Shawn Coss, decided to change it up and focus his drawings on various mental illnesses which has been getting tons of hits on Bored Panda. 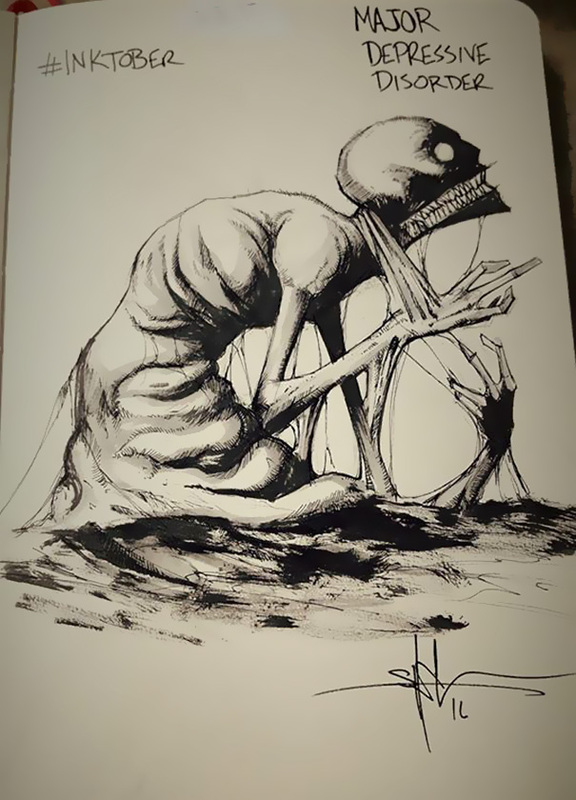 For more information and images, jump over to his Facebook page here.